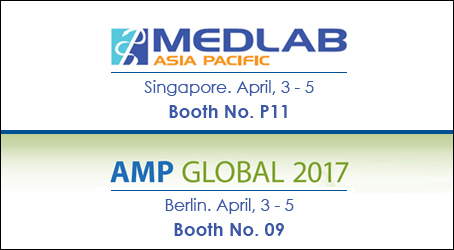 MEDLAB Asia Pacific will feature 11 accredited conferences which will be focused around laboratory diagnostics. A variety of scientific lectures, case studies, demonstrations and interactive activities will be available for all healthcare professionals to attend. Held alongside the conferences, the free-to-attend exhibition will present thousands of new products, equipment and services showcased by the main players in the industry. At the same time, AMP Global 2017 brings together a network of molecular professionals and representatives of the diagnostics industry to educate healthcare practitioners and to advance the value of molecular laboratories in providing high quality patient care around the world. From April 3rd to 5th. Suntec Exhibition & Convention Centre, Singapore. From April 3rd to 5th..
Estrel · Congress & Exhibition Center, Berlin.